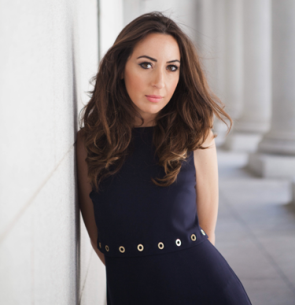 Tugce Ergul is a co-founder at Angel Labs, a global “investor accelerator” based in Silicon Valley. With a presence in more than 40 countries, Angel Labs is the world’s first investor accelerator with a focus on supercharging investor ecosystems all around the world and building connected & educated investor groups. Angel Labs’ goal is to make an impact on the liquidity side of the entrepreneurial equation, democratize venture capital and create smart capital for entrepreneurs. Tugce has been and continues to be a national and international consultant and speaker on economic development, angel and venture financing for numerous countries and NGOs including the EU and OECD. Tugce has worked closely with several countries on their national entrepreneurship programs, including Malaysia, South Korea, Mexico, Vietnam, Turkey and Argentina. Tugce is also the Chapter Lead of Girls in Tech Italy, an international organization focused on the empowerment, engagement and education of women in tech. She received her undergraduate degree in Finance from Sorbonne University with honors, and holds a master’s degree in International Management from Bocconi. Tugce is an active member of the European VC network and regularly speaks at events around the world regarding entrepreneurship, economic development and technology. She is fluent in English, French, Turkish, Azeri, Spanish, Italian and speaks some Portuguese. Tugce’s work has been featured in many publications such as The New York Times, USA Today, Forbes, and The Guardian.